For me personally, BaByliss are one of the most underrated hair styling product ranges out there. My first ever pair of straighteners were by BaByliss, and with it being several years since, I was excited to see how they had developed their technology. You can check out a few other BaByliss hair straighteners I’ve recently reviewed here. Diamond-infused, longer ceramic plates– these precious-sounding plates are said to give hair a much smoother finish, as well as effortless styling. Ultra-fast heat up– 15 seconds, and you should be good to go. 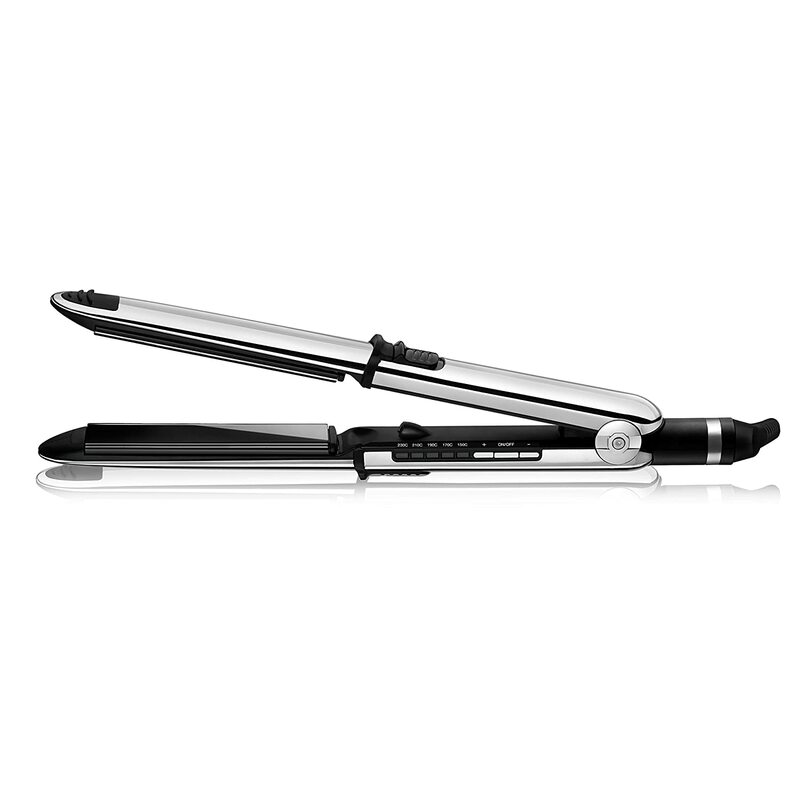 Up to 235°C high heat– these straighteners can even tackle thicker, longer hair. So, how did the straightener perform? The Diamond Straighteners lived up to, if not exceeded, my expectations. The plates glided through each section of hair without snagging or tugging at all. I also found that I could style larger sections of hair at a time due to the longer plates, which reduced my styling time by at least half. The straighteners only had to pass through each strand of hair once- meaning that damage was reduced significantly. My hair was left looking sleek, straight, under control, and noticeably shinier, than before styling. All of this, and I didn’t even use the highest heat setting. After the styling process, I found that my new sleek, smooth, and straight style lasted for the entire day. After that, I gave the Boutique Salon Control Straightener a whirl. Smooth Glide ceramic plates- these make for effortless gliding throughout the hair- you won’t be coming across any snags with these. 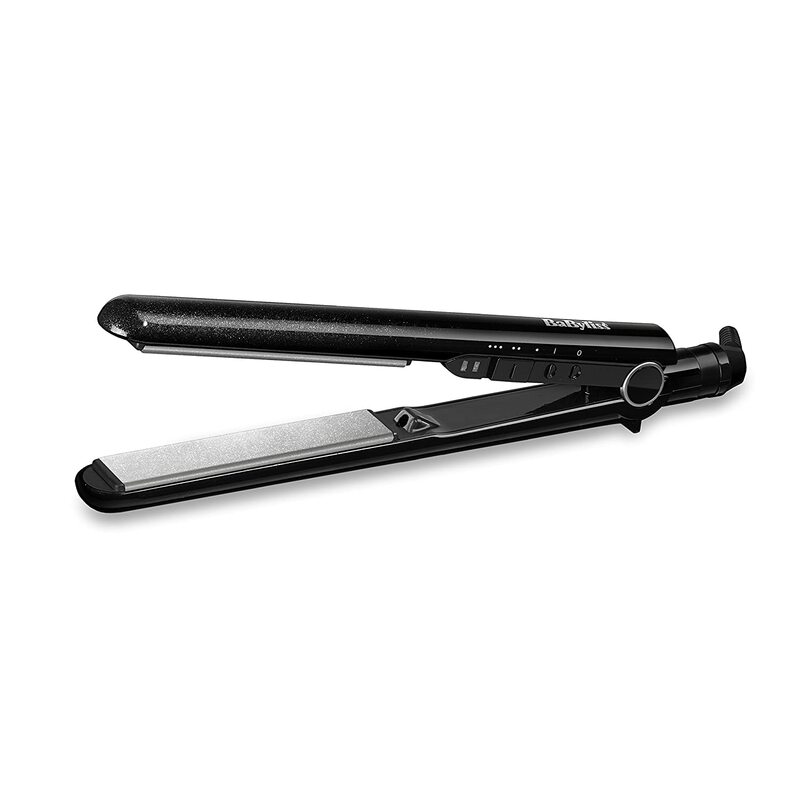 Memory function- this remembers your last heat setting for consistent styling and straightening. Up to 235°C high heat- with twelve temperature settings, there’s bound to be one that’ll tackle and tame your hair. I won’t lie to you; I didn’t find much difference between how the Diamond Straighteners performed and how the Salon Control Straighteners did- that isn’t necessarily a bad thing, though! The Salon Control Straighteners only took approximately 15 seconds to heat up- around about the same time that the Diamond Straighteners take. The straighteners didn’t snag on my hair at all- which is quite impressive considering my hair hasn’t been in the best of conditions lately. Again, much like the Diamond Straighteners, I only had to make one pass through each section of hair, so the amount of damage inflicted was massively decreased. I was left with the same results as the Diamond Straighteners- sleek, smooth, and (most importantly) straight hair that lasted throughout the day. I feel as though the memory function of the straightener is a bit of a gimmick, mind- it really isn’t that hard to remember which temperature setting you previously used, is it? Overall, the Diamond Straighteners and the Salon Control Straighteners make for a pair of styling tools that’ll provide you with hair that’s sleek, smooth, and under control. As aforementioned, the two don’t really come with many differences between them. They both provided a similar snag-free styling session, and both left me with poker-straight hair that lasted all day. Getting sleek and shiny hair is no easy task, but the Babyliss Diamond Straightener managed to achieve just that. I can't think of anything bad to say against them because they did their job in making sure my hair was exactly to my liking. The Babyliss Boutique Salon Control is an admirable pair of straighteners which are great at getting your hair at its straightest and smoothest. Although very similar to the Boutique, I have given these a slight edge due to the added temperature control settings which are worthy of note!